With today's fast pace of living it is no wonder that many people experience large amounts of stress in their everyday lives. Whether a job is physically demanding, mentally demanding or a little of both it is always important first and foremost to put health at the top of a to do list. 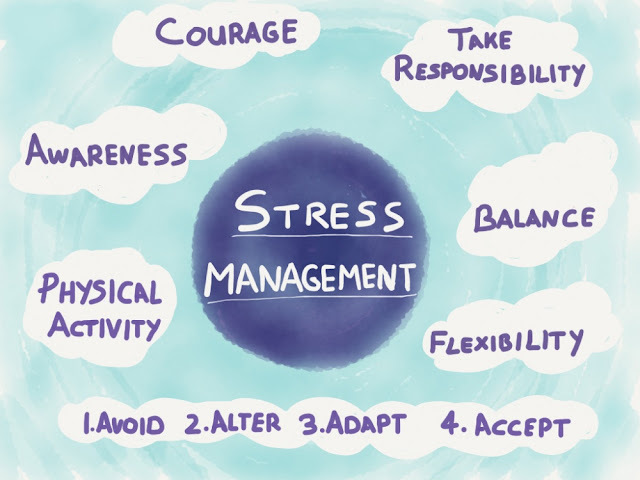 By incorporating the following 5 helpful stress management tips one can find themselves practicing a well balanced lifestyle. - This essential vitamin has many great natural qualities which helps it work as a great stress reliever. The reason being, is that thiamine, which is also a vitamin found within vitamin B1 helps with making the immune system and enables the body to undergo large amounts of stress. Vitamin B1 and thiamine although may sound as though they coexist can be considered to be a faulty statement. In fact, there are many foods that contain vitamin B1, but do not contain thiamine. Which Foods Have Enough to be Effective? According to According to Dr. Decuypere a chiropractic physician who has a vitamin chart that lists foods and their vitamins and minerals contents, states that, “Most fruits and vegetables are not a significant source of thiamine.” In fact using his chart as a reference the only fruits that do have a significant amount of Thiamine and vitamin B1 are fruits such as, watermelons and avocados, and the only vegetables are peas. With this information noted it is safe to say that in order to be able to experience the full affect of vitamin B1 as well as thiamine, it would be a good idea to eat a good amount of these vegetables or fruits and possibly take a vitamin supplement with added vitamin B1 and thiamine. There are many benefits associated with the scent of smell. It has actually been shown that scents such as lavender and vanilla can have a calming effect on the body and put a person in a relaxed state of mind. Aroma Therapy can be incorporated into your daily routine by simply adding a nice lavender scented lotion to your collection and massaging your hands when you feel stress coming on. If you are short on money, try going into your kitchen and grabbing the vanilla out of the cupboard. This will instantly put a smile on anyone's face as well as produce a sense of ease. One great way to melt away the stress of the day is to prepare a nice soothing hot bubble bath. This works in a number of ways, one being, it helps relax tense muscles, two, it helps clear up any congestion or stuffiness one might have, which will help one breathe better. When people experience stress they tend to breathe in a shallow manner. By breathing deeper and with longer breathes, this actually induces a sense of calmness to the body and the mind. -When a person is on top of their game and is aware of where everything is this can prevent stress from developing when uncertain situations come about. It will also maximize time efficiency as well. A simple personal organization tip can be as simple as making a to do list and go down the list according to what is most important to what is least important. A person can be surprised to see what they initially thought was virtually impossible, suddenly become possible when they have the information written down and in front of them. This is a well known technique that has been around for many years, yet many people fail to listen to that inner voice within them when they feel burned out or are overwhelmed with many tasks that need to be completed. The key is to think whether it is a life or death situation. If it is not, then it is not worth stressing over. Choose the priorities and deal with them as they come. So remember to just say no to others and yourself. There is always tomorrow. Now that one knows 5 helpful stress management tips they can learn to incorporate some or all of these techniques. Soon life won't seem so difficult and a lot more will get done in the process.